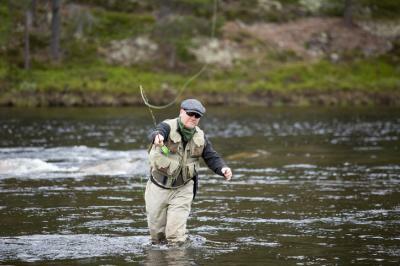 If you have ever tried fly fishing, you have a better idea of what it takes to lure a trout - fake insects with feathers and fur. This may be changing though, as another type of bait seems to be working better - mop threads. We are not sure who tested this first and fully understand some fishing purists may not be willing to entertain this change. Nonetheless, fish seem to love the "mop fly" so change is afoot. Every industry sees changes, and banking is one that has seen more than its fair share. This has left management teams exhausted and overworked, but there are some things you can do to lighten the load, as you continue to cast into the stream filled to overflowing with regulatory fish. One area bankers must address annually relates to doing an independent review of the interest rate risk (IRR) process from end to end. Such an independent review can be done internally, as long as the reviewer understands the nuances of rate risk, is independent of the process and has sufficient understanding of accounting, modeling and risk management requirements to appropriately complete the review. To say this is difficult to do properly at most community banks is likely an understatement. So, today we provide a few tips for most of the community bankers out there who are likely preparing to bring in an outside expert to do this process to help you catch more value from the process as it swims by the bank. First, it is important to select a high quality company. Any company can produce a report, but that isn't nearly enough. Start by looking closely at the company's experience with the model you are using. Some might be good with one or two models but have no experience using others. That can add risk to the process. As such, be sure your model is one the firm you are considering can handle, and also get 3 to 5 bank references to ensure you are likely to get exactly what you expect. Next, take a look at sample reports based on the model your bank uses (or outsources). Ask them if they can provide samples of reports generated not only for a bank that is meeting guidance, but also for a bank that is not meeting guidance. The latter type of report could be revealing. Look at the sort of information you will receive and be sure it all makes sense. Third, understand this is about expertise and not longevity. What we mean by this is that some companies have been around for a long time, while some reviewers have little experience in such a complex process. You don't want to pay for someone's on-the-job training so ask questions and document things. Fourth, ask what their threshold for materiality is in determining compliance with guidance. If the firm is picking out examples that may be important, but not material, it may not be grounded in the real world. Why should the firm run a 5Y simulation if nearly all of your assets mature in 2Y or 3Ys for example. Finally, ask if the company also offers ALM modeling services. This one is tricky because if the firm's business is not solely doing third-party reviews, conflicts can arise related to the modeling side of the business. There is an inherent conflict of interest when you hire somebody who works both sides of the fence so be careful. Although it is not always easy to find the right IRR reviewer or company for your bank, it is more important these days than ever. We hope at least we have made it a bit easier for you to end up with a good process, so that you're more likely to catch the return that you expect from the process, while avoiding a fishy smell. Yields inched down 1bp due to slightly disappointing wages and marginally higher unemployment. President Trump has ordered a sweeping review of Dodd Frank, designed to significantly scale it back and remove regulatory burdens. He also halted the pending Apr requirement for advisors on retirement accounts to move to fiduciary status, so the White House can review it further. Trump said at a prior meeting that Dodd Frank had damaged the country's entrepreneurial spirit, limited access to credit, been horrible for business and was a disaster. A McKinsey Global Institute report finds only 5% of more than 800 occupations analyzed are at risk of being entirely automated and replaced by robots by 2055. That said, McKinsey projects more than 50% of the current tasks done by workers could be automated over that same time period using technology that already exists today. The Great recession officially ended in July 2009, so that makes the recovery 92 months long so far or about 7.7Ys. Looking back to the 1980s, the shortest recovery was 1.0Y (1980-1981), the longest was 10.0Ys (1991 to 2001) and the average since 1980 has been about 6.3Ys. While no one knows when the next recession may come, given the Trump stimulus that is happening and the research starting to bubble up, it looks like things point more toward getting to the 10Y side of things than time running out. We will keep you informed along the way, but it looks like 2-3Ys of smooth sailing for bankers as things sit today. 1) The insurance subsidiary of Eastern Bank ($10B, MA) will acquire 135Y old insurance agency Chase and Lunt Insurance Agency LLC (MA) for an undisclosed sum. The CEO of PayPal said his company has been in talks with Amazon seeking a partnership that would expand options for shoppers to pay for purchases using PayPal accounts. PayPal also disclosed they have close to 200mm customers now.